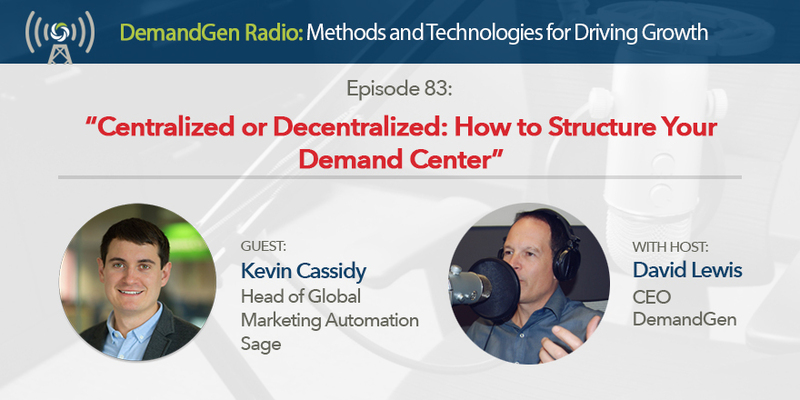 Kevin Cassidy, Head of Global Marketing Automation at Sage, joins the show to talk about the success his team has seen from centralizing certain marketing operations functions while still being able to decentralize responsibilities for campaign operations due to his use of Campaign Launchpad(tm). Kevin goes into detail around the processes he’s put into place at Sage as well as the employee onboarding and training programs he’s implemented. In this episode, you’ll hear about Kevin’s passion for mentoring students, learn about the Mammies (Kevin’s internal program for spotlighting the success of his team), and you’ll even gain a better understanding of whether or not centralizing some of your marketing efforts is right for you.